As of March 11th, I’ve been to all 50 states in 3 years. I lacked many state welcome road signs and many Canadian province signs so in April 2018 I decided to revisit many of the states to get updated road signs and while I’m at it, get the capital buildings too. Many states have been visited at least 3 or more times but there is still so much more to see. That is the fun of travel, you can have a full vacation and still find enough to make another one. I’m actually close to saying I’ve been to all 50 states multiples times. To my surprise, there is an all 50 state club that based just minutes from me in Nashville. The First White House of the Confederacy was the executive residence of President Jefferson Davis and family while the capital of the Confederate States of America was in Montgomery, Alabama. Fun Fact: Alabama introduced the Mardi Gras to the western world. The celebration is held on Shrove Tuesday, the day before Lent begins. 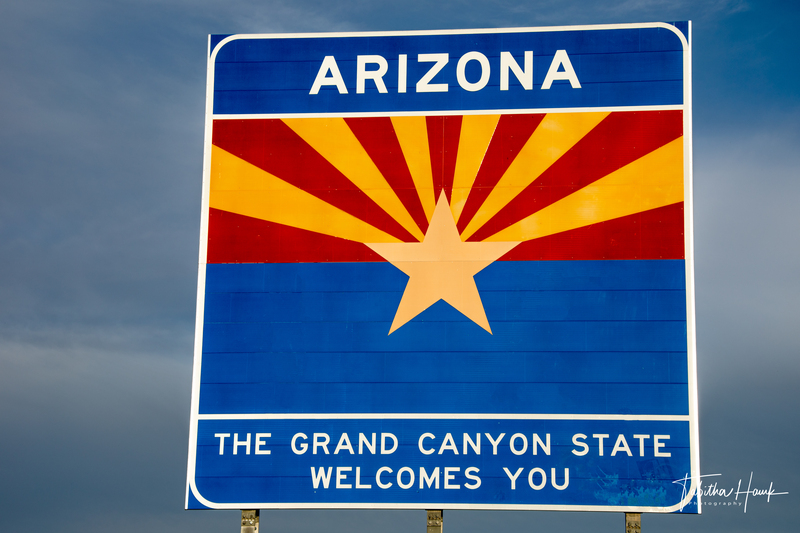 Fun Fact: The state’s most popular natural wonders include the Grand Canyon, Havasu Canyon, Grand Canyon Caves, Lake Powell/Rainbow Bridge, Petrified Forest/Painted Desert, Monument Valley, Sunset Crater, Meteor Crater, Sedona Oak Creek Canyon, Salt River Canyon, Superstition Mountains, Picacho Peak State Park, Saguaro National Park, Chiricahua National Monument, and the Colorado River. Fun Fact: Located just outside of Murfreesboro, Crater of Diamonds State Park allows dedicated prospectors to search for precious gems including diamonds, amethyst, garnet, jasper, agate, and quartz. Fun Fact: “Beulah red” is the name of the red marble that gives the Colorado State Capitol its distinctive splendor. Cutting, polishing, and installing the marble in the Capitol took six years, from 1894 to 1900. All of the “Beulah red” marble in the world went into the Capitol. It cannot be replaced, at any price. The 13th step of the state capital building in Denver is exactly 1 mile high above sea level. Fun Fact: The first telephone book ever issued contained only fifty names. The New Haven District Telephone Company published it in New Haven in February 1878. Fun Fact: Key West has the highest average temperature in the United States. Fun Fact: The popular theme park – Six Flags Over Georgia, was actually named for six flags that flew over Georgia. England, Spain, Liberty, Georgia, Confederate States of America, and the United States. Fun Fact: Hawaii is the most isolated population center on the face of the earth. Hawaii is 2,390 miles from California; 3,850 miles from Japan; 4,900 miles from China; and 5,280 miles from the Philippines. From east to west Hawaii is the widest state in the United States. Fun Fact: The Lewis & Clark Highway (United State Highway 12) is the shortest route from the midwest to the Pacific Coast and the longest highway within a national forest in the nation. Fun Fact: The world’s first Skyscraper was built in Chicago, 1885. Fun Fact: True to its motto, “Cross Roads of America” Indiana has more miles of Interstate Highway per square mile than any other state. The Indiana state Motto, can be traced back to the early 1800s. In the early years river traffic, especially along the Ohio, was a major means of transportation. The National Road, a major westward route, and the north-south Michigan Road crossed in Indianapolis. Today more major highways intersect in Indiana than in any other state. Fun Fact: Ripley’s Believe It or Not has dubbed Burlington’s Snake Alley the most crooked street in the world. Fun Fact: Kansas inventors include Almon Stowger of El Dorado who invented the dial telephone in 1889; William Purvis and Charles Wilson of Goodland who invented the helicopter in 1909; and Omar Knedlik of Coffeyville who invented the first frozen carbonated drink machine in 1961. Fun Fact: Thunder Over Louisville is the opening ceremony for the Kentucky Derby Festival and is the world’s largest fireworks display. Fun Fact: The world famous “Mardi Gras” is celebrated in New Orleans. Mardi Gras is an ancient custom that originated in southern Europe. It celebrates food and fun just before the 40 days of Lent: a Catholic time of prayer and sacrifice. Fun Fact: Maine is the only state that shares its border with only one other state. Fun Fact: America’s national anthem was written by Francis Scott Key a Maryland lawyer. It is believed Key wrote the anthem on September 14, 1814 while watching the bombardment of Fort McHenry in Baltimore Harbor. Fun Fact: Boston built the first subway system in the United States in 1897. Fun Fact: The Mackinac Bridge is one of the longest suspension bridges in the world. Connecting the upper and lower peninsulas of Michigan, it spans 5 miles over the Straits of Mackinac, which is where Lake Michigan and Lake Huron meet. The Mighty Mac took 3 years to complete and was opened to traffic in 1957. Fun Fact: Minnesota’s waters flow outward in three directions: north to Hudson Bay in Canada, east to the Atlantic Ocean, and south to the Gulf of Mexico. Fun Fact: In 1902 while on a hunting expedition in Sharkey County, President Theodore (Teddy) Roosevelt refused to shoot a captured bear. This act resulted in the creation of the world-famous teddy bear. Fun Fact: Montana is the only state with a triple divide allowing water to flow into the Pacific, Atlantic, and Hudson Bay. This phenomenon occurs at Triple Divide Peak in Glacier National Park. Fun Fact: In Blue Hill, Nebraska, no female wearing a ‘hat that would scare a timid person’ can be seen eating onions in public. Fun Fact: Of the thirteen original colonies, New Hampshire was the first to declare its independence from Mother England — a full six months before the Declaration of Independence was signed. Fun Fact: Jack Nicholson, Bruce Springsteen, Bon Jovi, Redman, Das EFX, Naughty by Nature, Sugar Hill Gang, Lords of the Underground, Jason Alexander, Queen Latifa, Shaq, Judy Blume, Arron Burr, Whitney Houston, Eddie Money, Frank Sinatra, Grover Cleveland, all New Jersey natives. Fun Fact: The world’s first Atomic Bomb was detonated on July 16, 1945 on the White Sands Testing Range near Alamogordo. North of the impact point a small placard marks the area known as Trinity Site. The bomb was designed and manufactured in Los Alamos. 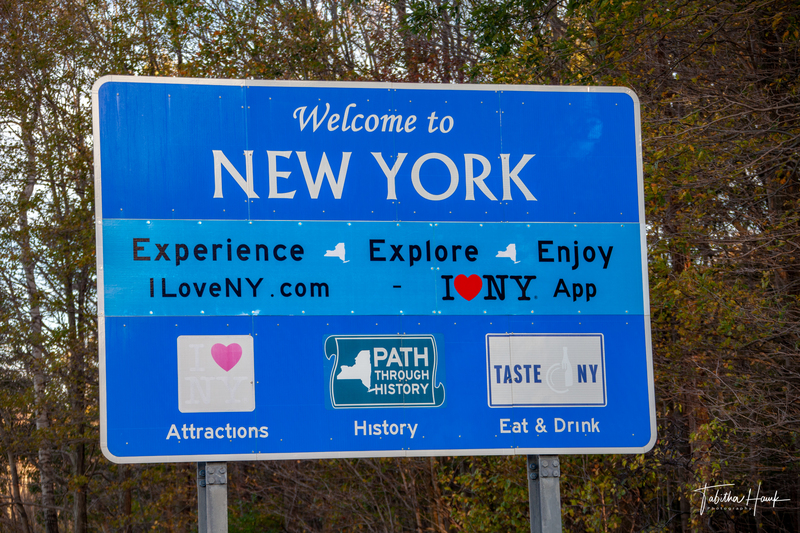 Fun Fact: The first capital of the United States was New York City. In 1789 George Washington took his oath as president on the balcony at Federal Hall. Fun Fact: Neil Armstrong became the first man to walk on the moon. He was from Wapakoneta. The Wright Brothers are acknowledged as inventors of the first airplane they were from Dayton. Fun Fact: Crater Lake is the deepest lake in the United States. It was formed more than 6,500 years ago. Its crystal-blue waters are world renowned. Fun Fact: The Declaration of Independence was signed in Philadelphia in 1776. Fun Fact: Rhode Island was the last of the original thirteen colonies to become a state. Rhode Island is the smallest state in size in the United States. It covers an area of 1,214 square miles. Its distances North to South are 48 miles and East to West 37 miles. Fun Fact: Before being known as the Palmetto State, South Carolina was known as, and had emblazoned on their license plates, the Iodine State. Fun Fact: Belle Fourche is the geographical center of the United States of America, designated in 1959 and noted by an official marker and sheepherder’s monument called a “Stone Johnnie”. Fun Fact: The largest earthquake in American history, the New Madrid Earthquake occurred in the winter of 1811-12 in northwestern Tennessee. Reelfoot Lake located in Obion and Lake Counties was formed during this earthquake. Fun Fact: Completion of the world’s first transcontinental railroad was celebrated at Promontory where the Central Pacific and Union Pacific Railroads met on May 10, 1869. It is now known as Golden Spike National Historic Site. Fun Fact: With a population of fewer than nine thousand people, Montpelier, Vermont is the smallest state capital in the U.S.
Fun Fact: Jamestown was the first English settlement in the U.S. It was also the first capital of Virginia. Fun Fact: West Virginia is considered the southern most northern state and the northern most southern state. Fun Fact: Yellowstone is the first official National Park (1872) also Wyoming was the first state to give women the right to vote. How did I get all these state welcome signs? Most roads that cross the borders often don’t have any sign, sometimes you get something generic like Whatever State Line. I find the best roads with welcome signs are interstates, the issue is it is dangerous to pull off on the side with speeding cars and getting back on the road afterward. Sometimes with no room to open the door safely so you have to take the photos through the windshield. I find some U.S. Routes have a welcome sign, usually smaller though. The best way I find the right border is to use Google Maps Street View. If I see a good sign and if it is safe to pull off the road, I get the GPS coordinates and put that in the GPS so I can get right to the sign. There are currently ten provinces and three territories. Here is a list of the provinces and territories, and their standard abbreviations, with their capitals (the cities where their governments are based) and largest cities. Canada’s national capital, where the federal government meets, is Ottawa.